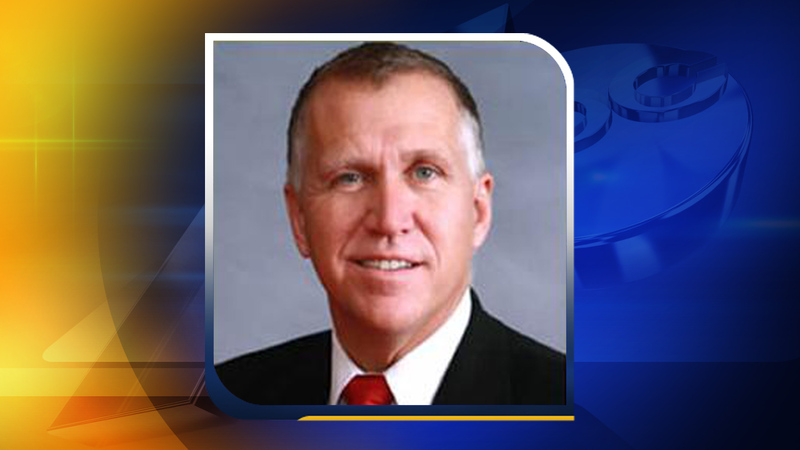 WASHINGTON (WTVD) -- Sen. Thom Tillis (R-NC) on Monday announced a long-awaited proposal that addresses the uncertain legal status of undocumented children, more commonly referred to as "Dreamers." At a news conference at the Capitol, posters displayed four core principles to The SUCCEED Act: Compassion, Prevention, Merit, and Fairness. "This act is about the children," Tillis announced. "We've got to set a high bar and make sure that if people want to come here, they do it legally." The SUCCEED Act, which stands for Solution for Undocumented Children through Careers Employment Education and Defending our nation, offers a 15-year path to citizenship for any immigrant who arrived illegally in the United States prior to their 16th birthday. The legislation is a response to the Trump administration's move to wind down the Deferred Action for Childhood Arrivals (DACA) program over the next six months, leaving the fates of Dreamers in the hands of Congress. The Obama administration created the DACA program in 2012 as a stopgap as it pushed unsuccessfully for a broader immigration overhaul in Congress. Many Republicans say they opposed the program on the grounds that it was an executive overreach. The DACA policy protects nearly 800,000 people from deportation, including more than 51,000 in North Carolina. The bill's co-sponsor, Sen. James Lankford (R-OK) said, "In American law, we don't hold children accountable for the actions of their parents," but he also agreed the DACA program needed to end in favor of a more permanent solution. "We've had immigration problems for 30 years, and now's the time we resolve these issues. When we solve the issue of DACA, we need to resolve the other issues as well. Tillis explained the SUCCEED Act requires Dreamers to maintain employment for 48 of 60 months, earn a post-secondary degree, or serve in the U.S. military. The conditional permanent resident (CPR) status will be reviewed every five years, and after 10 years those who meet the criteria can then apply for a Green Card. Applicants must also pass a criminal background check and maintain a clean record for the entirety of their 15-year path to citizenship process. Arriving in the U.S. before the age of 16 and before June 15, 2012, the enactment date of DACA. Obtaining a high school diploma or equivalent, if 18 or older. Passing a rigorous criminal background check, which extends to information obtained from INTERPOL or the country of origin to screen for individuals with a criminal past or gang affiliation. Submitting biometric and biographic data to the Department of Homeland Security. Registering for the military selective service. Paying off any existing federal tax liabilities. Signing an acknowledgment that they will not be eligible for any form of relief or immigration benefit pursuant to the legislation if they are convicted of a crime while on CPR status. Both Tillis and Lankford expressed confidence the bill could pass with bipartisan support, and pass within the next six months before the DACA program expires. They added that the SUCCEED Act should be a part of a greater effort to overhaul U.S. immigration policy.